Michigan Farmer Wins The GTO Dream Giveaway! 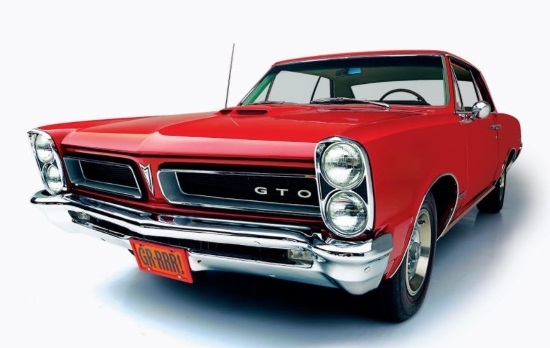 The Grand Prize in the GTO Dream Giveaway is this rare 1965 Pontiac GTO. GRAVETTE, Ark. - Oct. 2, 2018 - PRLog -- The GTO Dream Giveaway brought to you by Ames Performance Engineering, a nationwide drawing sponsored by New Beginning Children's Homes, ended on August 28, 2018. Fred Soja, age 70, from Michigan, is the grand-prize winner. Included in the grand-prize package he will take home is an award-winning 1965 Pontiac GTO plus $10,000 towards the prize taxes! On March 14, 2018, Mr. Soja made a donation to enter the GTO Dream Giveaway. What he didn't know was that his generous donation not only impacted the life of others but landed him the winning ticket as well! "I like to donate to different organizations," he said. "You see things on TV or read stories in the news about people who are in need and I like to help people." On Monday, September 17, 2018, he received the news via telephone that he had won the inaugural GTO Dream Giveaway. "After I got the call that I had won, it took a few days for it to actually register,"he said. "I would just sit in bed at night and say to myself: Is it really me? Did I really win? When I told my brother, I think he was more excited than I was. He couldn't wait to tell all the neighbors and he was on the phone for a few hours with some different people. It was like a brush fire; the news just kept spreading." Mr. Soja was born and raised in Michigan and currently helps takes care of his 101-acre family farm. As a young man he loved playing sports like roller hockey and softball. He now considers himself more of a homebody. Mr. Soja had this to say to the people who still don't believe his win is for real: "You can't win if you don't try." The GTO Dream Giveaway award ceremony will be held on October 5, 2018. It will be broadcast live on Facebook and available for viewing on YouTube. The public and media are invited to attend. New Beginning Children's Homes (NBCH) is a 501(c) 3 provider of family-style long-term residential care with a mission to provide foster children a safe and faith-centered family atmosphere where they can heal, grow, and be loved while working through difficult life issues. In addition to the funding they received, NBCH provided grants to several worthwhile charities, including Honor Flight of West Central Florida, National Guard Educational Foundation, Bright Pink, Smile Network International, Mothers Against Drunk Driving and Detroit Rescue Mission Ministries. A Dream Giveaway spokesperson is available for press interviews for traditional print, broadcast, and radio media and digital-only sites. Please contact Kim Meyers (kmeyers@dggroupinc.com) to arrange a press interview.